Dubli.com is the only truly global Cash Back shopping website in the world with customers in 120 countries, more than 12,000 leading online stores, both international and national brands and 30+ shopping categories. Dubli.com is available in 10 languages. favorite stores, only now through Dubli.com instead of directly at the merchant site,and earn Cash Back on every purchase. 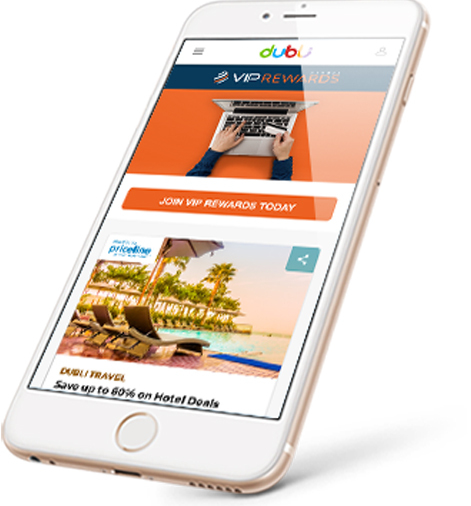 Dubli.com has become the destination of choice for smart shoppers looking to maximize their savings on the same purchases they are making every day. Dubli.com’s Cash Back model doesn’t conflict with other loyalty programs or memberships; it’s complementary. Customer can still book a flight, earn their bonus miles, earn Cash Back from their credit card, and earn Cash Back when shopping through Dubli.com. The new membership offers greater value: Members receive up to several hundred of dollars of potential savings. For only $49 a year, members are now able to choose between an annual or monthly billing plan. Members will save $10.00 by purchasing the VIP Rewards membership at the annual subscription price of $49 while the monthly membership gives greater flexibility in terms of budget-control. This model provides steady and predictable recurring revenue via its auto-renewal feature. The VIP Rewards membership offers a product and benefit mix, unmatched in the global Cash Back industry, and provides a single point of access to a complete array of saving opportunities. The company’s own travel search engine provides exceptional value to members with deep discounts of up to 60% with 6% Cash Back on last-minute hotel bookings. In partnership with some of the most prominent global travel brands – priceline.com, Booking.com and agoda.com, this travel search engine is a one-stop-shop for travelers looking for the lowest rates on hotels anywhere in the world. Additionally, we provide VIP Rewards members with an extra, annual 2% VIP Cash Back creating even greater value for our members while also allowing VIPs to withdraw their Cash Back even faster than free customers. The company announced recently that it will introduce a Cash Back card enabling members to earn 4% Cash Back on all online or in-store purchases. The Global VIP Rewards Prepaid MasterCard will greatly enhance the value of our paid membership. The card is accepted at over 24 millions locations worldwide, and there are no minimum spends or maximum Cash Back earning limits. Cash Back is a unique business model where the revenue stream is based on a behavior by which consumers are already engaged. The appeal of the Cash Back value proposition is straightforward: join or sign in, choose your favorite store, shop and earn. The rewards are cash and not point-based which enjoy a higher perception value than other forms of rewards. The unmitigated number of stores available on our company’s site is unparalleled and shortens the buying cycle. In addition, the Cash Back payout is easy. Cash Back can be withdrawn by the customer via PayPal or Paytm, depending on the customer’s country of residence. and deals. Cash Back savings makes value-shopping simple and creates an opportunity for merchants and brands to build brand loyalty and drive customer lifetime value from one purchase to the next. For companies and consumers alike, Cash Back earnings offer an opportunity for repeat shoppers, reinforcing the consumption cycle instead of one-off discount hunting. Cash Back shopping is gaining traction among consumers by offering a simple, straightforward and transparent return. The Cash Back model extends the lifetime value of the customer as they return over and again as they continue to reap of the rewards of their hard earned dollars. Ominto places significant emphasis on the overall quality of its Dubli.com website, mobile-friendly responsive design for cross device viewing, unique content, relevant offers, and the look and feel of Dubli.com’s site pages, differentiating the site from other Cash Back providers. All of this impacts member website engagement, which in turn, translates into higher sales. Dubli.com enjoys a unique position in the global Cash Back market as the first-to-market in many growing world economies as there are barriers to entry based on language, culture, regulatory requirements and technological resources. Due to Ominto’s strategically positioned administrative offices around the world, the company enjoys the benefits of local market and cultural expertise which assists in facilitating the regulatory framework required for operating a global site on a local level. 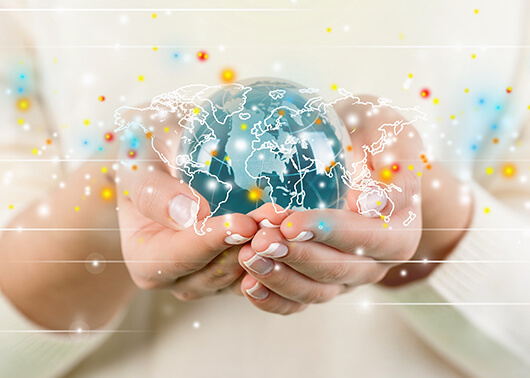 Importantly, Dubli.com operates as a global site tailored to country preference depending on where in the world the shopper is logging in, as recognized by the location of the geo-IP. For example, when a customer logs in from Germany, the customer will only be offered merchants in Germany and merchants who sell to Germany and will make his or her purchases in local currency.